Category: Hardware. Tags: ARM, open hardware. 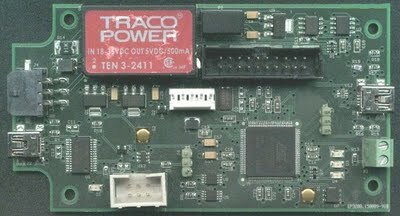 An open hardware project involving a PCB with an AT91SAM7X128 processor with galvanically isolated CAN bus and power running off 24V DC. All documentation needed for production (schematics, board layout, gerber files) is included in this tar-archive. You are free to use and produce this hardware, see the included license file. This project is also registered with Harkopen.